Quantity: approx. 4 fluid oz. 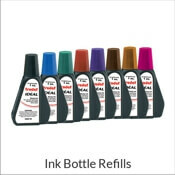 Need a dry pad to go with your ink bottle? Order a dry pad here! 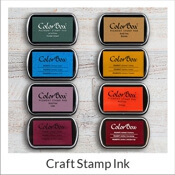 This 4 oz ink bottle is a permanent dye that can be used on several different types of surfaces. 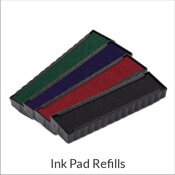 Ink your pad & after stamping, make sure to close the lid of your pad to keep the ink moist for as long as possible. 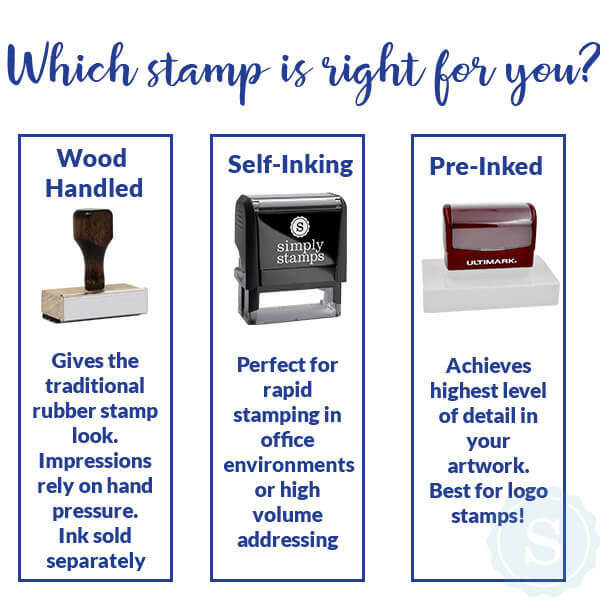 After stamping your material, make sure to set it somewhere to dry for at least an hour so that the dye sets into the fibers. Your impression will not be affected by several washes & is a great way to label clothes without having tacky permanent marker scribble on the tag. Order your bottle online here! 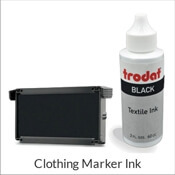 Note: This ink bottle is not to be used with the Trodat Clothing Marker stamp (4911CM) or replacement pad.